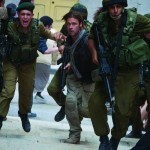 World War Z is an apocalyptic action, sci-fi film starring Brad Pitt (Fight Club, Oceans Trilogy) as United Nations researcher Gerry Lane who is forced to leave his family to travel across the world in a race against time to try and stop the zombie pandemic that is threatening to decimate humanity itself. Based on the 2006 bestselling novel of the same name by author Max Brooks, the film is directed by Marc Forster (Quantum of Solace, Monster’s Ball)from a screenplay by Matthew Michael Carnahan (Lions for Lambs, State of Play) Drew Goddard (Buffy The Vampire Slayer, Lost) and Damon Lindelof (Lost, Star Trek – Into Darkness). Brad Pitt is a supported by Mireille Enos (The Killing), Sterling Jerins (Deception), Matthew Fox (Lost) and James Badge Dale (The Departed). In September and October 2012, the World War Z production team visited Discovery Park in Sandwich, Dover to use the offices and laboratories to shoot scenes where Gerry Lane (Brad Pitt) tries to find a cure for the zombie pandemic. Discovery Park is the former head quarters of the pharmaceutical company Pfizer. It offers large office complexes, scientific laboratories, warehouses and plants. Discovery Park has previously been used as a film location by Sky Atlantic drama, The Tunnel (2013), Derren Brown’s The Specials: Fear and Faith (2012) and new BBC series James Mays Cars of People due out in 2014. 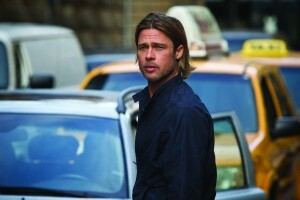 Don’t miss World War Z which is out in cinemas on Friday June 21st 2013. This entry was posted in Filmed in Kent and tagged Brad Pitt, Discovery Park, feature film, Marc Forster, Matthew Fox, Mireille Enos, Sandwich, Sterling Jerins, World War Z film locations. Bookmark the permalink. ← BAFTA nominated I Am Nasrine screening at The Gulbenkian, Canterbury!